Is Syfa from Castlevania III Male or Female? This is simply because the script is the same for the 3 secondary characters. So this made people belive Sypha was a guy. There is even a “Character FAQ” on Game FAQs which strongly insists that she’s a guy, despite the fact the ending with her makes it clear she’s a girl. Anyways, I was curious to know if the same typo about her gender was here in japanese, or if it was “introduced” by the translation. I’ve included a screenshot of the scene with the two possible choices. Now I’m not asking for information for free, so I’ll provide you another Castlevania related information. I just noticed the AVGN sub-site of the Legend of Localisations website. It’s a great idea, however I sure hope you don’t plan to do this with all episodes. There’s like 100+ of them, and many of them are games that weren’t even released in japan. Anyways you mention the difference between the password system (NES) and the disk saving system (FDS). I own both copies of the game so I am well placed to do a comparison of them. Well, believe it or not, but the NES password stores MORE information than the FDS saves. 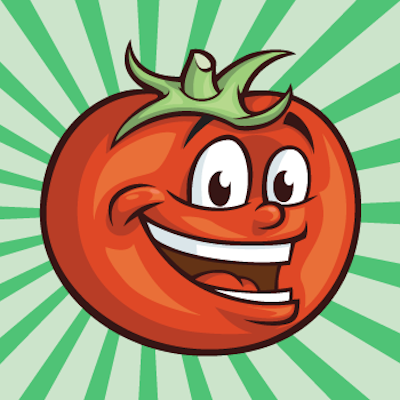 The passwords remembers your laurels, garlic, and oak stake. With disk saves, you always starts with no laurels, garlic nor oak stake. This alone makes the NES version less painful to play. This was not because of technical limitations – the disk could save large amount of data, but Konami just didn’t bother to implement it. Second, in the NES version, all your garlic collapses when you enter in a fight with Dracula. This is because they fixed a glitch in the FDS version which allows you to kill Dracula by simply using garlic and waiting, without actually fighting him. Third, the loading times are particularly horrible because the game uses compressed graphics. So instead of reading the disc once (7 second) when switching levels, it reads the compressed graphics, decompress them into VRAM, and read the level again, doing two disc access, for a ~14 seconds loading time. Fourth (and last) info, the sound actually sounds “better” on NES despite the fact there is less sound channels, because Konami used a more advanced version of it’s sound engine, so they added many special effects such as vibrato and glissando. The FDS version uses the additional sound channel, but has likely old version of Konami’s sound engine, and only plays “plain” notes without any effects such as vibrato and glissando. So here you are all the info I have about Simon’s Quest. Thank you for answering my CV3 question, and best regards, and thank you VERY much for sharing all that fascinating info on the LOL website. Wow, that’s a lot of stuff – and extremely helpful. And including a screenshot saved me a ton of time too, thanks! Don’t take along What will you do? It looks like the original text doesn’t include any pronouns or any gender information at all. I guess the localizers opted to include a pronoun in there to make it sound more natural, except they didn’t take ever possibility into account, much like what happened with Guile and Chun-li in Street Fighter II’s translation. Even in the Japanese version, the ending text and the long blonde hair point to Syfa being a woman, so it looks like the “him” reference was indeed a bit of a slip-up. Although the ending text does suggest that Syfa finally reveals her true self, so maybe the “him” reference was added to confuse the player, much like how Samus was called a “he” to throw players off. Since Syfa’s gender isn’t mentioned one way or another in the Japanese text until now, this is definitely another possibility. Summary: all signs clearly point to Syfa being a woman. The use of “him” in reference to Syfa was either a mistake similar to the Street Fighter II mistake or was added in by the localizers to fool the player at first. So there you go – I’m not caught up with my Castlevania lore so maybe this is already old news or maybe Syfa’s even appeared in other games? I mean, Alucard has, and he’s in this game, so it’d be cool to see more of Syfa I think. If you enjoyed this article and know any other fans of Castlevania, I hope you'll tell them about it. Thanks! This odd line has puzzled fans for years. It turns out ducks and Castlevania go hand-in-hand! This is a great example of how one generation of a classic series paid homage to its roots. Did Castlevania II’s Endings Get Mixed Up in Japanese Too? This classic has three endings, but something seems off about them in English. What were they like in Japanese? Sypha is unabashedly female. 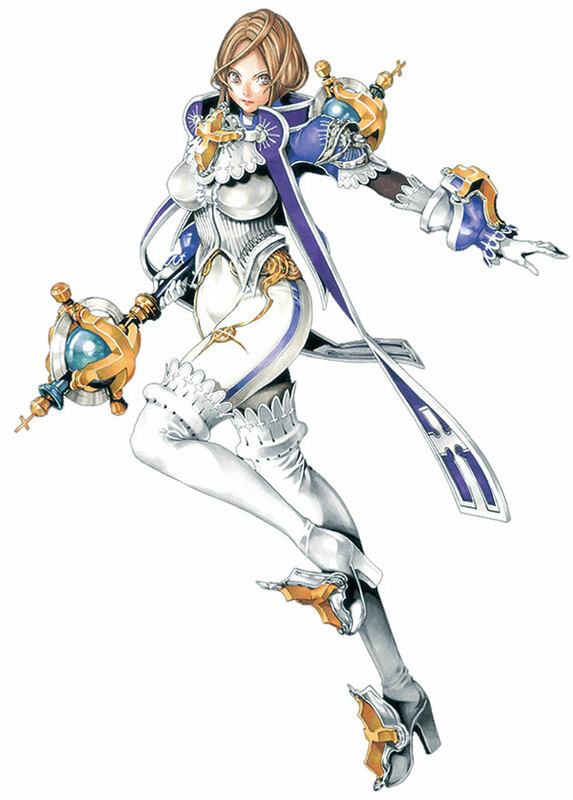 She appears in a couple of other games (including Symphony of the Night) and is explicitly referred to as female. In fact, she actually ends up in a love triangle with Grant and Trevor (the other protagonists in this game) and ends up marrying Trevor. The issue with her gender extends to the manual as well, apparently; she’s referred to as a he there too. That’s nine times she is referred to as a male! I understand that, especially in the olden days, the game and manual were often localised by entirely separate people. It’s not really terribly uncommon to find games with horribly garbled Engrish but totally fluent manuals. The differences between the localizations of the in-game dialogue and the instruction manuals could get pretty bizarre. 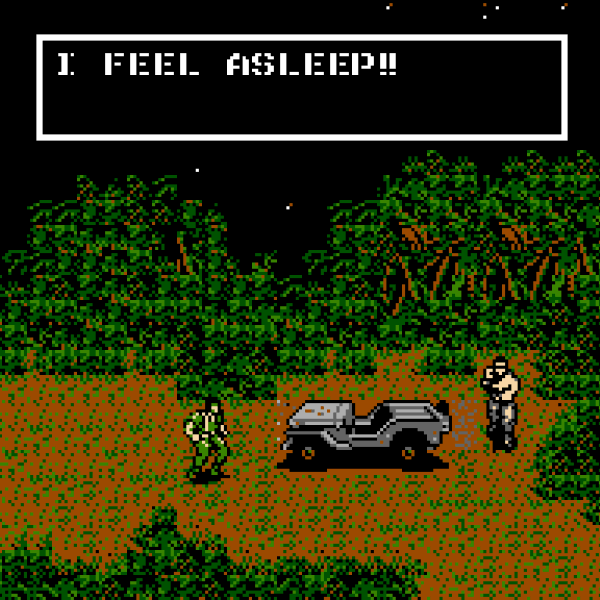 For example, Big Boss is referred to as “Commander South” in the instruction manual of Metal Gear, a name which is never actually used within the game itself. Ha, that’s amazing. I always rented the game and never got the manual so this is the first I’ve heard of this! I’m pretty sure all the in-game text in early Konami games were translated or written in-house by Konami’s own developers, whereas the manuals and packaging descriptions were done by the American division. It’s pretty obvious in games with lots of text like the NES Metal Gears and Castlevanias, where the games themselves often contradicted the manuals. Even some U.S.-exclusive Konami games like the NES Lone Ranger had their inconsistencies (the manual claims that Dan Reid is John Reid’s father for example, when in the game and source material they were brothers). On the other hand, PAL-exclusive localizations (like the NES Parodius and weirdly enough, Probotector), had manuals and plot descriptions were often pretty faithful to their Japanese originals (since they had no American versions to fall back on, at least with Parodius). Final Fight 3 had a boss who was named Callman in the manual and Coleman in the game (or it may have been the other way around). hey, i have a question regarding money in some games. In a lot of Japanese games (megaman battle network and starforce being one of the main ones that spruing to mind), if they want to have money but not use a pre-existing term they like to use some form of ‘zenny’ (i’ve seen zeni used in a couple places) and it always bugged me as to why. is there a specific reaosn for this, orn was it just a nonsense word that caught on? I’m in no position to make an authoritative statement, but I know “zeni” is the currency of the Dragon Ball world. I’d be unsurprised if it started there and got picked up by others. I’m not an authority either, but I think “zeni” might be a general term for money. I remember in the newer localizations of Final Fantasy V, the commands for the Samurai class used Japanese terms, and the one used for the money throwing command had “zeni” in it. Also, in the newer Pokémon games one of the shows you can watch on the TVs in some houses says Squirtle’s Japanese name is “Zenigame”, with the “zeni” coming from how their shells look like old coins. That reads more like someone Google Translated a Japanese fansite without really understanding what it was saying. (Going off Japanese wikipedia here) “Zenigame” is the term for baby turtles of the Kusagame or Nihonishigame species, which are popular as pets. It originally only referred to Nihoishigame babies, but since that species started diminishing in numbers, the term started being applied to Kusagame babies as well so that pet salesmen would have an easier time getting stock. They are called this because of how their shell resembles Edo-era coins. So basically Pokémon just used a word that essentially means “baby turtle” for their baby turtle monster, and the TV show in the later games just repeat the real-world origin of the real-world zenigame’s name. The Nihonishigame species is sometimes called “Japanese Pond Turtle”, so that “Zenigame means pond turtle” nonsense on Bulbapedia is likely to be the result of some weird game of telephone between oversimplifying dictionaries and online translators. Bulbapedia in general isn’t a very good source for things like these; mistranslations and misinterpretations like these are rampant, and most of their articles dealing with Japanese never seem to have been touched by someone who knows Japanese beyond what Google Translate tells them words mean. That’s some mighty strong invective there for a complaint that, if I’m reading this correctly, mainly boils down to not specifying that it’s a baby. There’s a pretty big difference between “Zenigame means pond turtle” and “Zenigame is a word used for babies of the Kusagame or Nihonishigame species of turtle, the latter of which is sometimes referred to as the Japanese Pond Turtle in English”. Hey, I found it interesting, thank you! No problem. A lot of the original Pokemon have very generic names, some being just existing Japanese or English words, most likely due to the idea to market them all as individual creatures with heaps of individual merchandise instead of them just being more generic RPG monsters not really striking them until the game started selling really well. This is actually a good question that I hear a lot, so I’d like to do a post about it someday. I just hope I don’t forget to – do you have a list of games (or better yet, screenshots from games?) that use these terms? I really wish i had the ability to get some screenshots for you, and only a few games spring to mind immediately. i’ll see if i can’t do some research though. Here’s a list of games that use Zenny/Zeni in some form. It’s by no means complete or anything but, eh. I agree. That list is by no means complete. I guess it’s derived from the ancient word but they’ve latched onto it as a connection between many of the games they make. sheesh, i knew a few of those, (mostly ther megaman related games), but i didn’t know capcom used it THAT often. This topic gets even more confusing when you introduce other media into the mix. I guess Sypha is a blue wizard with a beard or something in Captain N? Of course, though, we all know how accurately THAT show adapted the characters. Oh crap, I forgot that Captain N sometimes had weird cameos like that. The next time I pull the DVDs out of my closet I’ll have to look for this weirdified Sypha. It was equally weird how the Captain N version of Alucard had that stereotypical “surfer dude” persona that was so common in the early 90s. In fact, that rendition of Alucard would have been a perfect fit for the NES game Totally Rad. Captain N was amazing when it came to Castlevania characters. It is still the definitive Simon Belmont as far as I’m concerned. Here’s some fantastic screenshots on the Castlevania Wiki. Unfortunately the end column of the photo gallery is cut off for some reason, but if you click on the covered image to the right of Alucard, you’ll get the full image of the Captain N reimagining of Sypha! And now having seen it…. wow, just…..wow. See? AMAZING! Man, I love Captain N so much. Anybody else remember the insane Tetris episode? Hey Mato, I’d just like to add that Sypha (which seems to be the official licalization of her name nowadays) has indeed appeared in other games, most notably Castlevania Judgement, where she’s most definitely a woman ( http://static2.wikia.nocookie.net/__cb20090424045805/castlevania/images/7/7d/Cj-sypha-belnades.jpg ). Thanks! That’s definitely a woman! Mato, if you ever get the chance to look into it or if someone else can explain it to me… What’s up with her name in both versions? and I think the International manual calls her Sypha Belnades, I’ve also seen her last name written Fernandez. “Fernandez” was for Carrie Fernandez in Castlevania 64… but in the Japanese version (Akumajou Dracula Mokushiroku) it’s the same name as all the other Belnades names. In Japan, Sypha, Carrie and Yoko are all supposed to share a family name, yet it’s been localised into three completely different names for each character. Oh, so that’s where the “Fernandez” came from. Thanks, that’s interesting. The “Fernandez” sounds like they had someone read the Japanese kana and then wrote down what they thought they heard. Considering that the katakana for the name is ヴェルナンデス, it’s possible, if not probable, that “Fernandez” (or something similar to it; I’ve seen “Vernandez” mentioned as well) was the intended name all along, and it just got mangled in coming back FROM katakana. It wouldn’t be the only example of that happening to a Hispanic name in the series; Eric’s surname (リカード) is pretty obviously supposed to be “Ricardo”, but it got interpreted as “Lecarde.” Later games stuck with that one, as well. -The Spanish V sounds just like the B, unlike in English, so there is zero reason to use the ヴェ thing for “ve” unless they want to represent a weird phonetic accent or something. -リカード is not how you’d write the Spanish name Ricardo, that’d be リカルド. At least when using Spanish phonetics, since the R is more emphasized there than in English. Though who knows with these things. Not that I dispute the things you say — about which I know nothing — but Eric’s background does explicitly state that he was born in Spain, thereby making the Spanish “Ricardo” a more likely last name than the French “Lecarde.” But, as you say, who really knows with these things. Then it’s probably Konami who screwed up when choosing his name. It’s okay, there are a lot of romance languages that probably sound all too alike for the Japanese :P.
I’m pretty sure you’re right in saying that リカード is probably just a product of not taking the Spanish accent into account. ヴェルナンデス could have one of any number of explanations. I have heard that some variants of Spanish don’t pronounce Vs quite exactly like Bs, but rather with a phoneme somewhere in between the two (all of my Spanish teachers always just said to pronounce them like Bs, though, so I don’t know how much water that one holds). Or they could have done the same thing they’d later repeat with “Ricardo” and just based the kana on the Roman-alphabet spelling, without regard for the accent/pronunciation conventions of the source language. Or maybe the name wasn’t meant to be Hispanic-sounding exactly, but rather just sort of Latin-sounding and exotic (especially since “Sypha” is obviously not a Hispanic name by any means). Could be any of these, really. Later games seem to have settled on Sypha Belnades as a romanization – and she’s definitely female. From a simple priest robe outfit to that… Man, what a transformation. Japanese character aesthetics are also so different from back then! Considering who did the designs, that’s not a stretch to believe. Also worth noting that the Sorrow games contain a character called Yoko Belnades, who is clearly a relative of Sypha (though the exact relationship I believe is never stated), and Harmony of Dissonance has an item meant to be “Sypha’s Charm,” but which was mislocalised as “Cipher’s Charm” in the English release. Man, with all these crazy name mix-ups, I wonder if someday some crazy fans are gonna go through all the games and fix all the things. That’d be kind of cool to see, I think. Anyway, the early Castlevania games had some interesting localization choices. Maybe even more interesting than the changes (intentional and unintentional) were the things they -didn’t- change. Things like Castlevania II talking about “the Hell house”, or Trevor praying before a cross at the beginning of Castlevania III… I wonder how those got through? I wouldn’t really call it a passive-aggressive e-mail, per se. I think it’s just a language issue for that person. The grammatical errors here and here in his or her letter seem to indicate so. And I’m as shocked as you are that Castlevania III kept that big freakin’ cross at the beginning as well… perhaps maybe removing it would have left an unreasonable empty space that they couldn’t fill, and Nintendo gave them an exception? This is all speculation, though. They didn’t just keep the cross, they even made it fancier with several lines radiating out like a starburst. Maybe that was their “censoring”? No, it’s actually the other way around, the “glowing” was removed in the NES version. Gah, I had a feeling I should’ve checked to make sure. To be fair, I have gotten some other complaints about my FF4 pace, so it’s not an isolated thing. Unless they were all from the same person, heh. Heyyo post whatever you want whenever you want, I read it all anyway! Yeah, upon a re-read I’m pretty sure it was a language/culture thing, as Mudkip3DS said above. It’s hard to read the tone of people who are writing in a language other than their native tongue, and the stuff about the FF4 updates being too slow and implications of people being lazy for not just playing both versions themselves rubbed me the wrong way at first glance. In my personal opinion, these question and answer sections are great! I guess I can see people getting annoyed if their main reason for coming here was the in-depth comparisons, but… I find these little articles to be informative and interesting. Plus, as far as I know you’re the only translator working on this project. The fact that you update as often as you do, even if the updates are QA sections and mini-articles, is astounding. I think it’s quite silly that you’re getting complaints for not updating your FFIV article more often. People should be grateful that you are doing it in the first place! The last thing you should feel is some form of pressure, I mean the project is gigantic. You may easily burn yourself out if not doing other comparisons in between. Love the latest update btw. Apparently her last name from the booklet is Belnades, but I remember seeing on a wiki somewhere that there’s another character whose name is Sypha Fernandez. I wonder if it’s like that Metroid Barrier/Varia thing that you touched on. That’s because the Belmont name is written in the Japanese versions as ベルモンド (Belmondo). “Belmond” is the romanization I saw listed on the Japanese wikipedia page for Castlevania 3, though the later games seem to have settled on “Belmondo”. Yeah, they’re actually called “Belmond” or “Belmondo” in Japanese. Took me by surprise when I first found out! It’s Belmondo in the English-language release of Castlevania 1, too. “Belmont” seems to have been a supplementary material-only spelling that would end up being used over the actual in-game spelling for the sequels, just like Sypha VS Syfa. What I’m saying is that expecting quality localisation in a Castlevania game is just all kinds of silly. In Japanese his name really is “Shimon”, which would be pronounced more like the Spanish “Simón” than the English “Simon” (AFAIK that’s usually represented n Japanese as “Saimon”).. it seems like they really were going for a more European feel with some of the names in the Japanese version, but they were mostly anglicised or just straight-up butchered in localisation. As far as I can recall, I was never surprised about the Belmont name being Belmondo, as it is a reference to the french actor Jean-Paul Belmondo (who also inspired Cobra the space pirate). Many references to famous actors can be found in the ending credits of the first Castlevania. So I may not be surprised if Sypha Belnades was also some kind of homage to someone like Sarah Bernhardt. I can’t quote a someone about that, but I always thought that like Belmont and Belmondo, Belnades was just a diformed Berhardt or Bernard (but as others pointed it out, Fernandez might be another possible reference, even if I don’t know to whom). my personal opinion is that the Japanese version left Sypha’s gender vague only to reveal to the player she’s a girl if you chose her as partner. Then later games just show right away she’s a girl. Was then the English text a bad translation or a choice to not spoil the surprise for that ending? It’s pretty obvious that in both Japan and America, Konami wanted to keep Sypha’s gender a surprise in the same way that the first Metroid game kept Samus’s gender hidden until the ending.